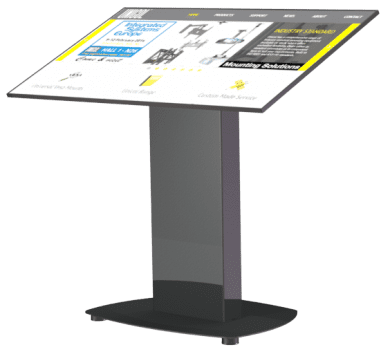 55″ professional 24/7 touch display with 20 compatible touch points now available for hire. Our touch screens offer IPS technology this offers higher contrast, darker blacks and much better viewing angles than standard TN technology. The screen will look good no matter what angle you look at it. The infrared technology uses infrared backlight. A touch event is registered with great accuracy when the infrared light is blocked by finger or stylus. 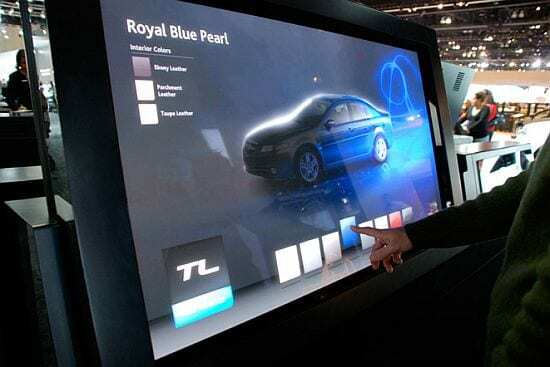 This technology does not rely on an overlay or substrate, so it is impossible to physically “wear out” the touchscreen. Moreover the display characteristics remain virtually unaffected by the touch functionality. Click here for touch screen hire enquiries.